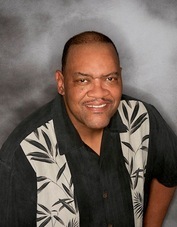 Ricardo Alexander Finney served nearly 30 years in the United States Air Force, mostly as a visual information manager. He studied photography as an undergraduate at the Kansas City Art Institute graduating with a Fine Art degree before serving our nation in the military. Inspired by the unrivaled technical prowess of photographer Ansel Adams, Mr. Finney spends as much time working on photo refinement as he does shooting in the field. Fascinated by the camera’s ability to transfer three-dimensional objects into 2-dimensional images, Mr. Finney has refined the art of image making through his understanding of optics, lighting and shadow and attention to detail. Over the years, he has grown to enjoy the industrial side of imaging and focuses on food and menu documentation, photography of commercial and residential properties, and business portraiture for other professionals. He is also skilled in photo restoration where he blends his technical expertise and love of service to help families and organizations regain their history through photographs. Mr. Finney, his wife Clara, and dogs Choco and Minnie reside in Makakilo Hawai’i, on the island of O’ahu.